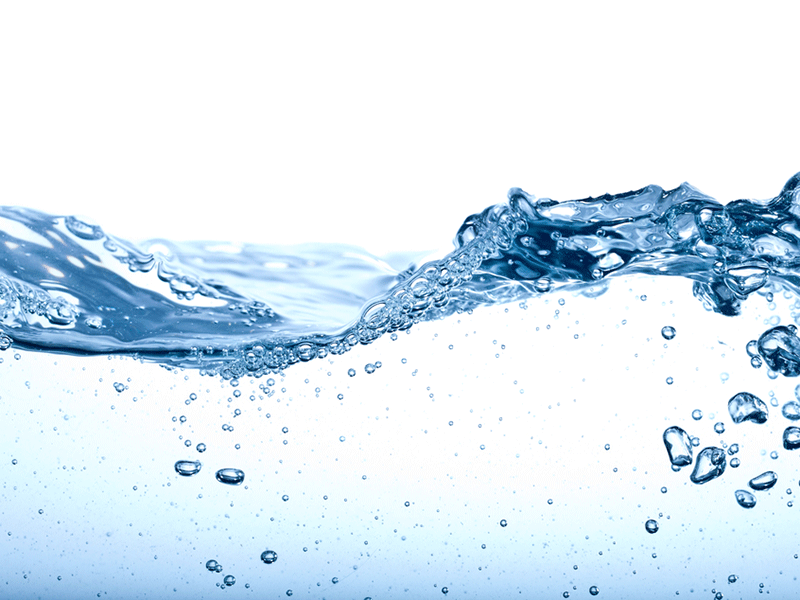 Qatar General Electricity & Water Corporation (KAHRAMAA) purchases the treated water produced at the plant from QEWC. Image courtesy of QWEC. Waste heat from the RAF B2 power plant is used in the RAF A2 desalination plant. Image courtesy of QWEC. 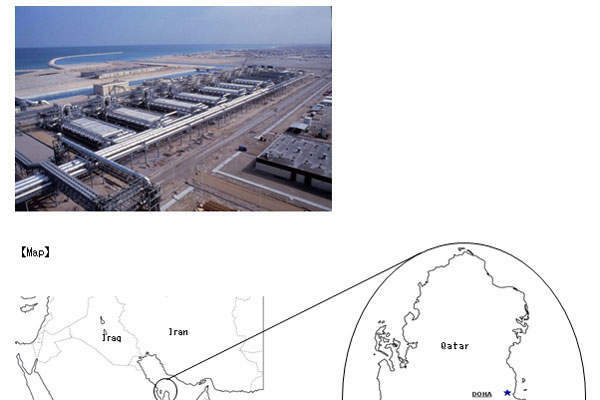 The desalination plant is located about 10km south of Doha. Ras Abu Fontas (RAF) A2 Seawater Desalination Plant is located at Ras Abu Fontas, about 10km south of Doha. The plant was constructed by a consortium of Mitsubishi Corporation and Toyo Thai Corporation Public Company (TTCL) under a turnkey contract. 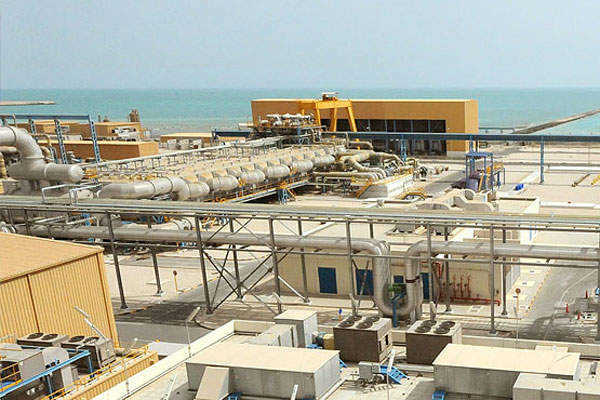 The desalination plant, implementing multi-stage flash distillation (MSF), is operated by Qatar Electricity & Water Company (QEWC). The water is supplied to the country’s national power and water grid operator Qatar General Electricity & Water Corporation (KAHRAMAA) for 25 years. Construction of the desalination plant began in January 2013 and the new plant was opened in November 2015. The investment on the project is estimated to be approximately QAR 1.83bn ($502m). 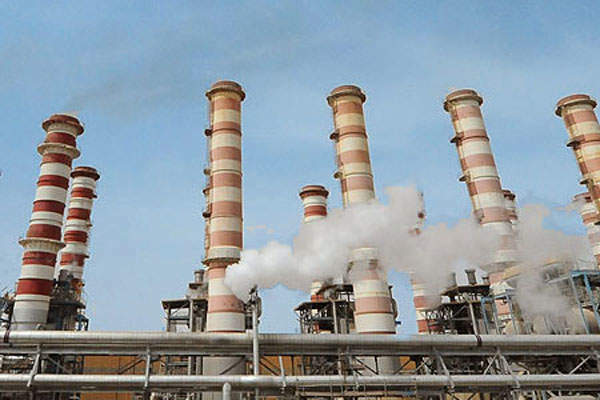 The project forms part of Qatar’s larger plan, announced in 2012, of investing more than $5bn by the end of 2013 to boost its power and potable water production capacity. The country has so far invested in a number of new projects, including a 2,250MW power plant, two desalination plants with a total capacity of 194 million gallons a day, and large water reservoirs. "The project forms part of Qatar’s plan to invest more than $5bn by the end of 2013 to boost its power and potable water production capacity." 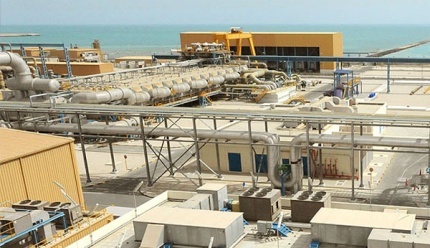 The desalination plant comprises two units with a combined production capacity of 36 million imperial gallons a day (160,000m³/day), which is equivalent to 10% of Qatar’s national water production. The power required for running the facility is supplied from the 597MW RAF B2 power plant. The equipment at the desalination facility includes brine heaters, evaporators, heat exchangers and tubings. The plant is connected to a network of reservoirs, currently under construction, via a 183km-long and 2.5m-wide pipeline. The MSF process primarily involves heating sea water in a vacuum evaporator to produce vapour, which is then eventually condensed to produce freshwater. The process starts with heating the tubes in the distiller units’ brine heaters, which in turn heats the seawater intake. The heated seawater passes into the vacuum evaporator, where it boils rapidly and converts into steam. The steam is then condensed on heat exchanger tubes, which are cooled by the incoming water flow to the brine heater. In the multi-stage distillation process, the feed water passes through additional stages from higher levels of atmospheric pressure to a lower level, without generating additional heat. The pressure at each stage is lower than that of the earlier stages. The main facilities for the two MSF desalination units were constructed by Hitachi Zosen Corporation (Hitz) in cooperation with Mitsubishi Corporation. The desalination plant has the largest desalination units built by Hitz. The remaining plant facilities, such as the seawater intake and boiler installations, were completed by TTCL. Four local banks, namely QNB Group, Barwa Bank, Masraf Al Rayan and Qatar Islamic Bank, arranged $450m in funding for the project. QNB Group is the lead banker covering a substantial portion of the financing. The financial and legal advisers to QEWC are HSBC and Norton Rose Fulbright, while Simmons & Simmons acted as legal adviser to the financiers. The Sorek desalination plant in Israel became operational in October 2013 with a seawater treatment capacity of 624,000m³/day, making it the world’s biggest seawater desalination plant. Kenya Water Treatment Plant (KWTP) is a new water treatment plant constructed as part of the Queensland Curtis LNG (QCLNG) project of QGC.